Here I am, about to write Bride Ashlee and Groom Ross’s Blog about their amazingly happy AQWA Underwater Aquarium Wedding. Keep in mind my skills may excel in photography not so much blog writing, I just hope I can do this one justice! 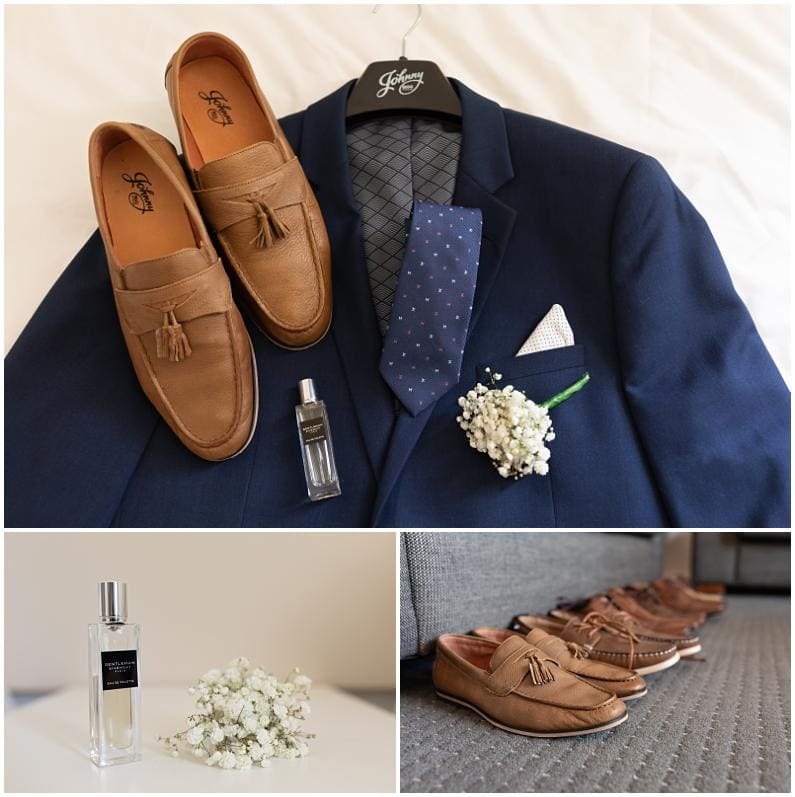 One thing about my blogs they are as real and raw as the moments I capture on your wedding day. I write them how I see them and how I feel them. 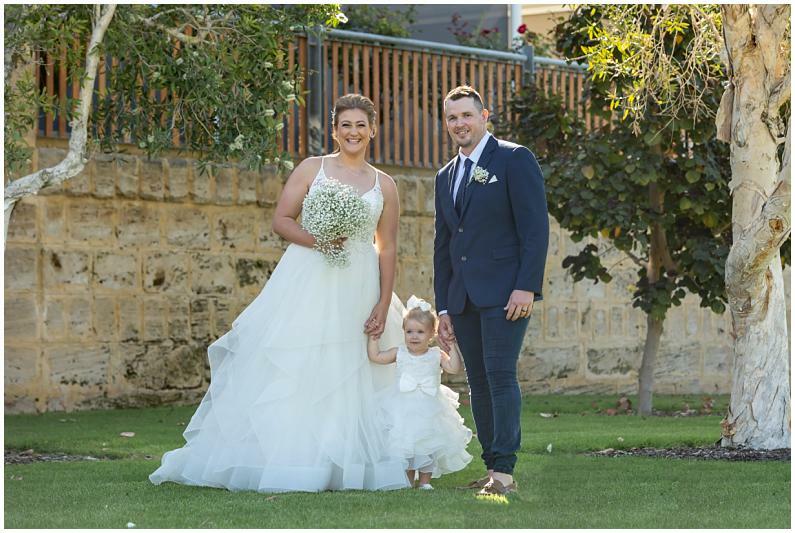 Way back on July 16th 2018 a website enquiry came in from Ashlee for information about the packages I offer with Gavin from Groovy Entertainment. 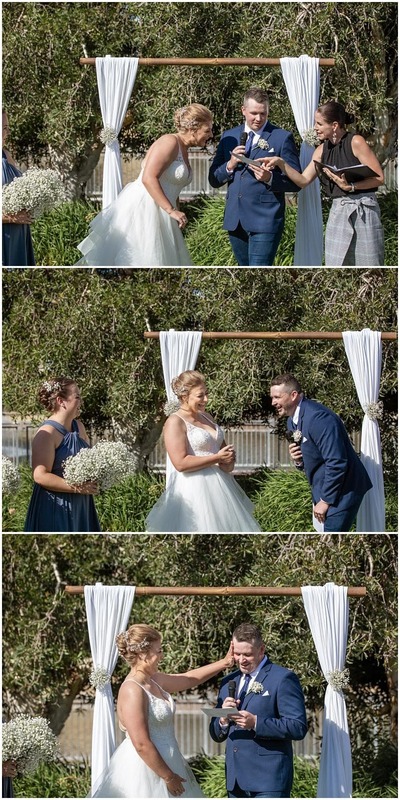 Her Wedding date had been on hold by another couple who couldn’t commit to locking the date in officially. So just a heads up to anyone – first to complete the booking process gets the date! I don’t believe in chance, everything happens for a reason to lead you to where you are supposed to be. 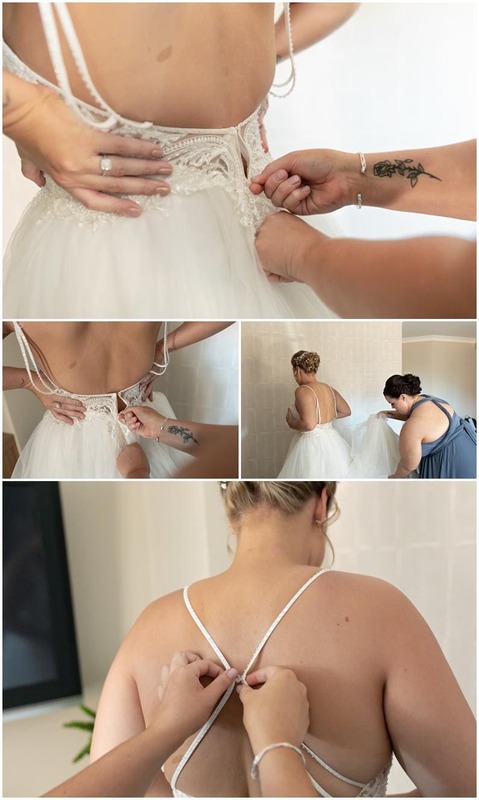 Before I knew it I had the most happy bride I have ever met sitting in my office ( check out Ashlee’s wedding photos I bet you will all be smiling along with her as you look through her blog). 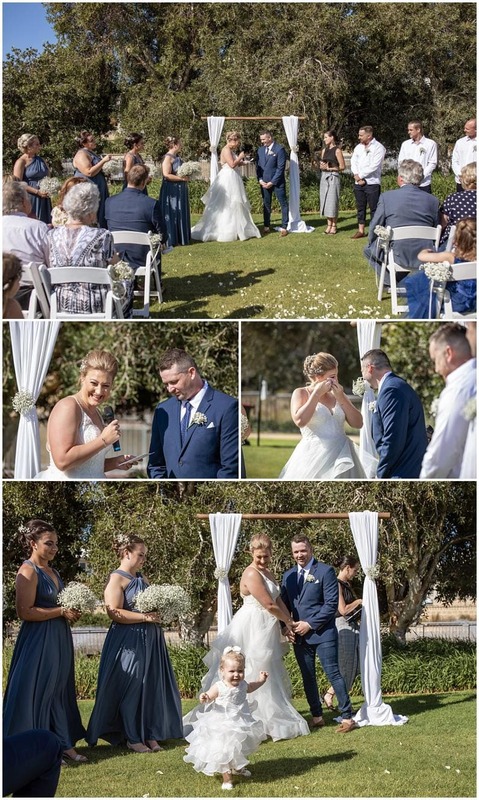 By the end of that meeting I knew Ashlee had found me for a reason and hahaha by typing Perth wedding photographer in the Facebook search bar. I also felt Ashlee was a friend! If you ever meet Ashlee I am sure you will feel the same way. Her positive energy and happiness can only be described as the warmest bubble of sunshine you will ever come across. 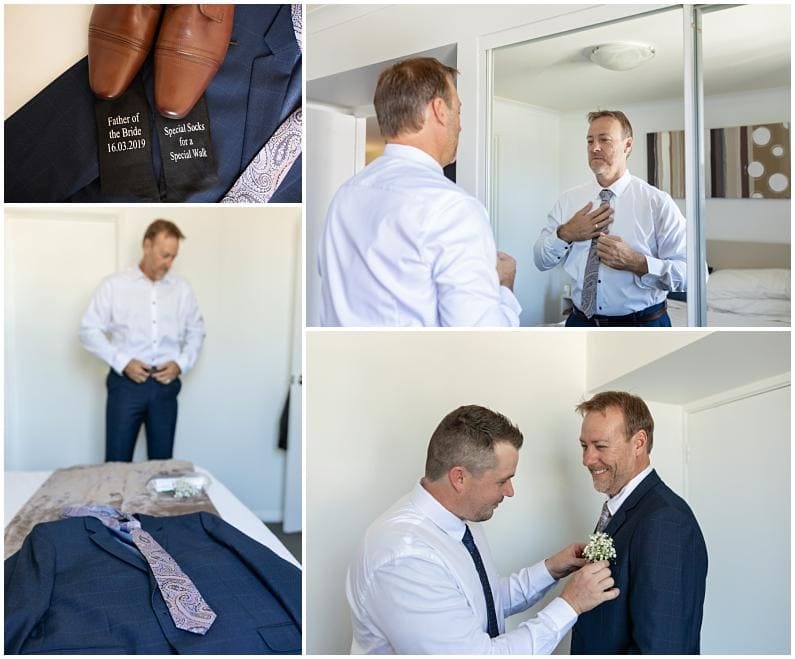 I was so excited out of all the Photographers in Perth Ashlee (and Ross, although he didn’t know it yet) chose me to photograph their love and marriage! Before the Big day arrived, we had final meetings and I attended the wedding rehearsal. 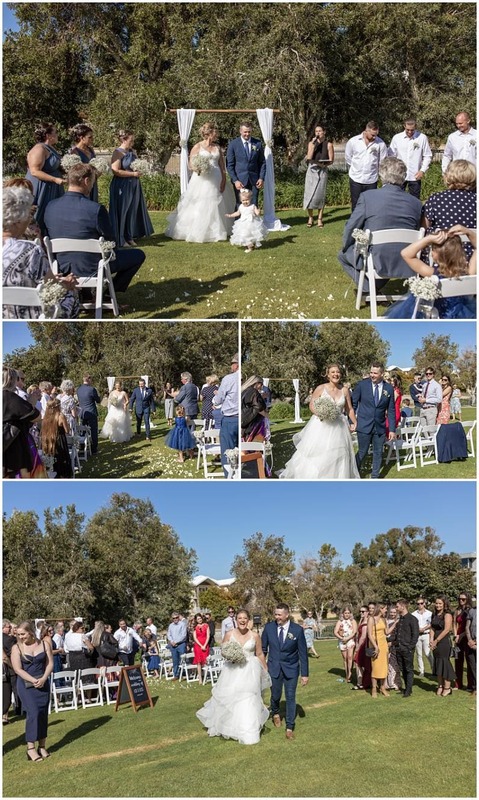 If its a location I haven’t been to for a while, or ever, I like to come along if my schedule permits to location scout and offer a few wedding ceremony tips. 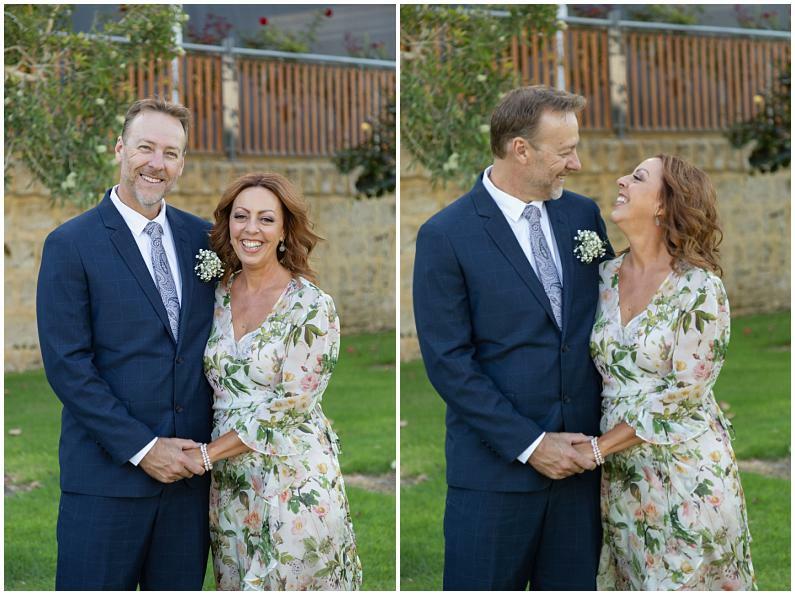 If I can give you one tip to take away from this blog that I normally give at rehearsals it would be to kiss and hug your new husband/wife for longer than half a second. 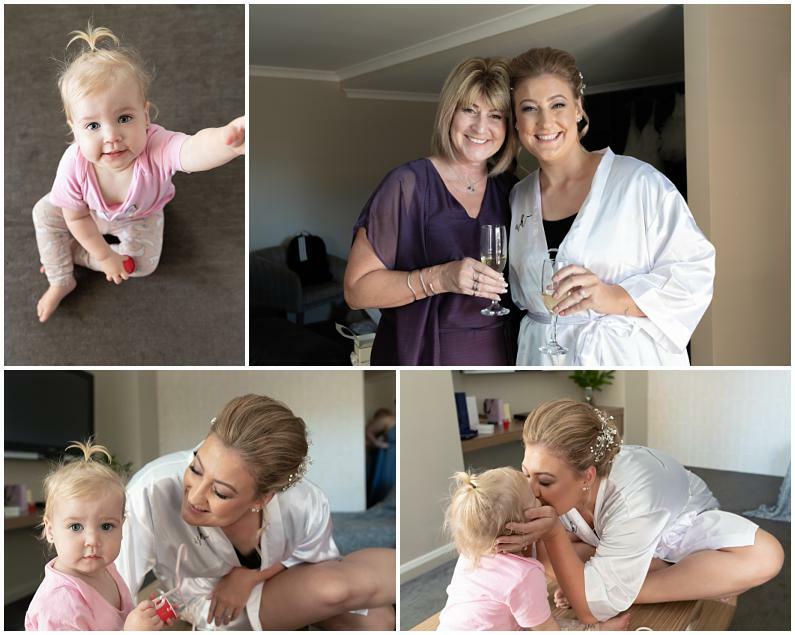 We are photographers not magicians and we know you might be shy with public displays of affection, just seize the moment, its one that happens once in a lifetime! P.S.We loved Ashlee and Ross’s first kiss moment! Okay, back to the Wedding Day! The 16th March 2019 arrived. 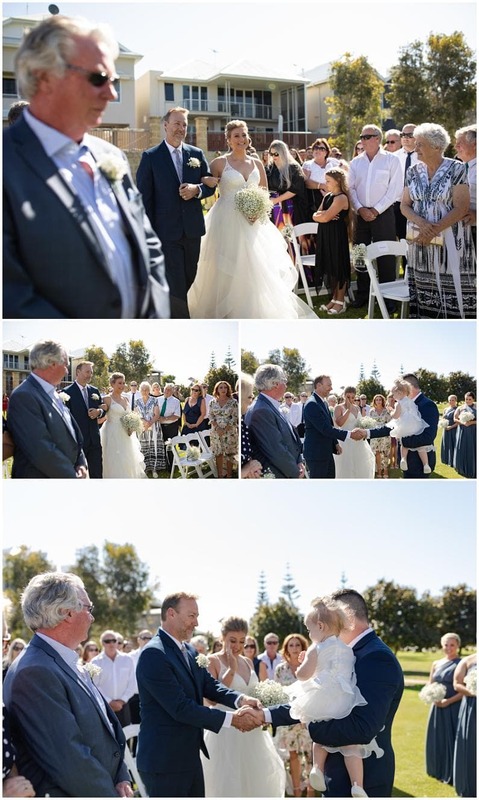 It was perfect for a wedding! 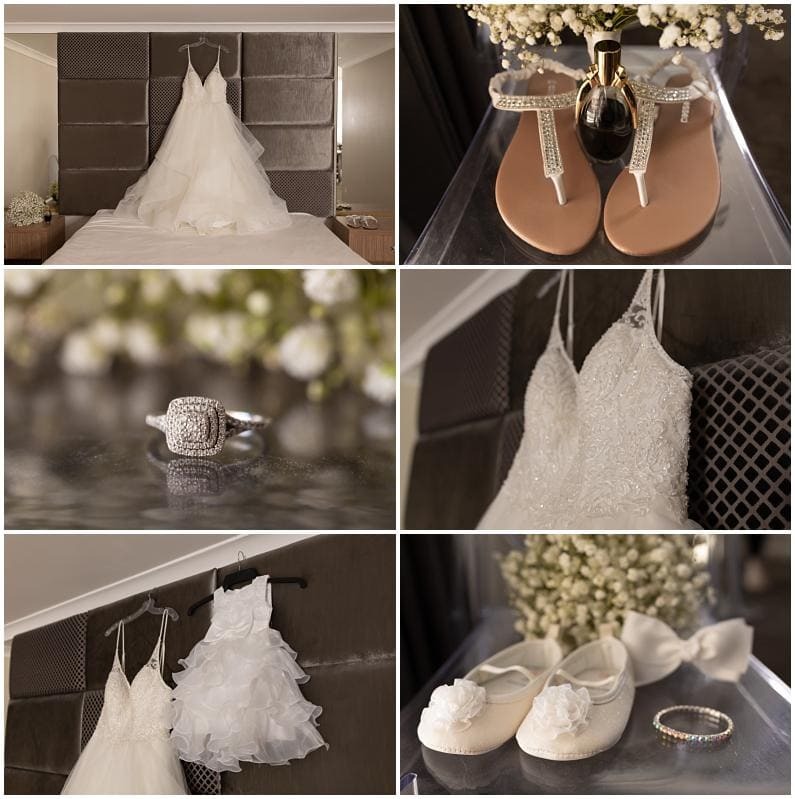 Both Ashlee and Ross planned for wedding day preparations at Hillary’s Apartments. This made capturing both preparations a breeze. 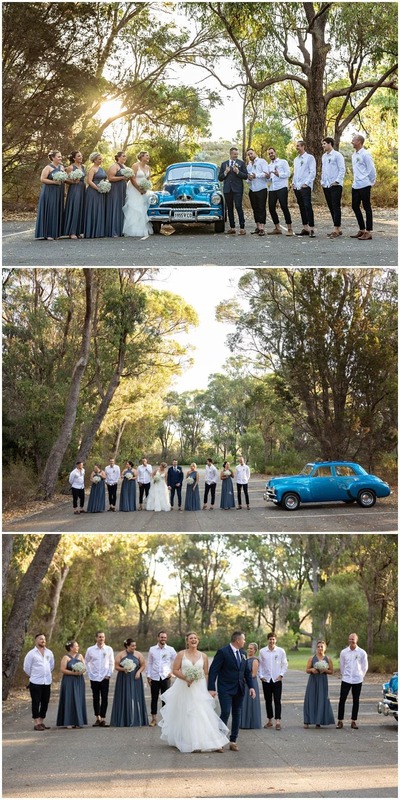 It cuts the travel time out and allows more actual wedding photography time. 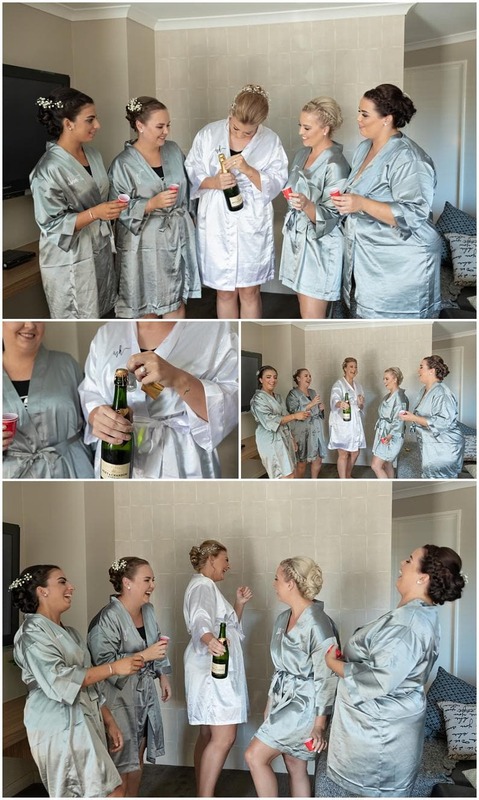 Before I found the Groom, I passed the Brides room and I couldn’t help but call in and say hello. The happiness in that room was amazing! Beautiful ladies all around. Up the stairs I went to find Ross. 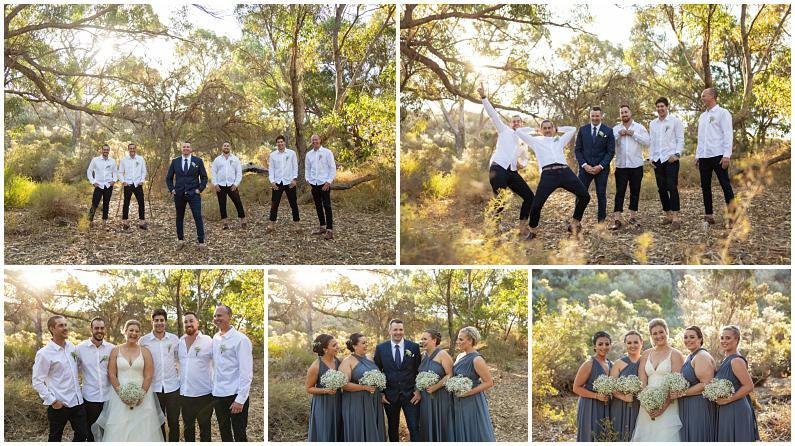 I found a bunch of extremely chilled lads, a happy groom and an extremely proud father of the bride. 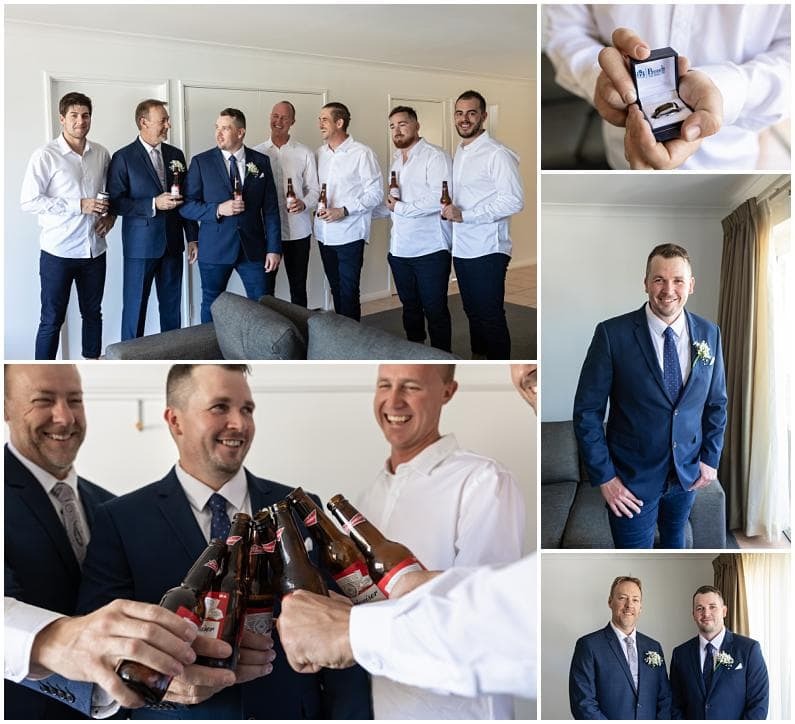 When I find the Father of the Bride at preparations with the Groom and his groomsmen it’s more than heartwarming!. 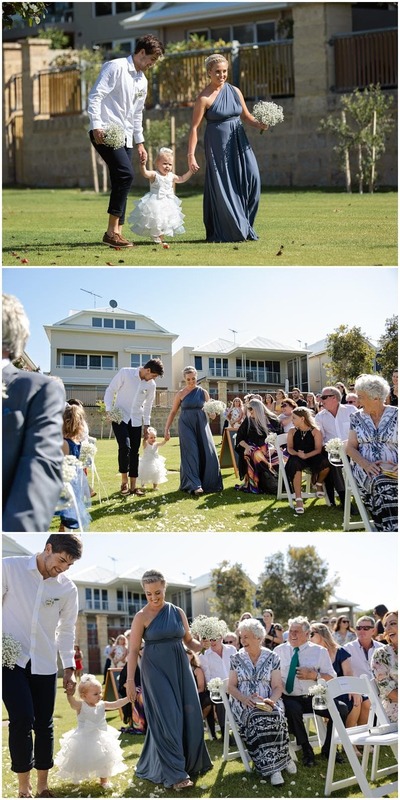 It screams to me, this father of the bride is a legend, not only does he have a close relationship with his daughter he thinks the world of his future son in law. Look through the images and you can see that bond right there! Real and raw! 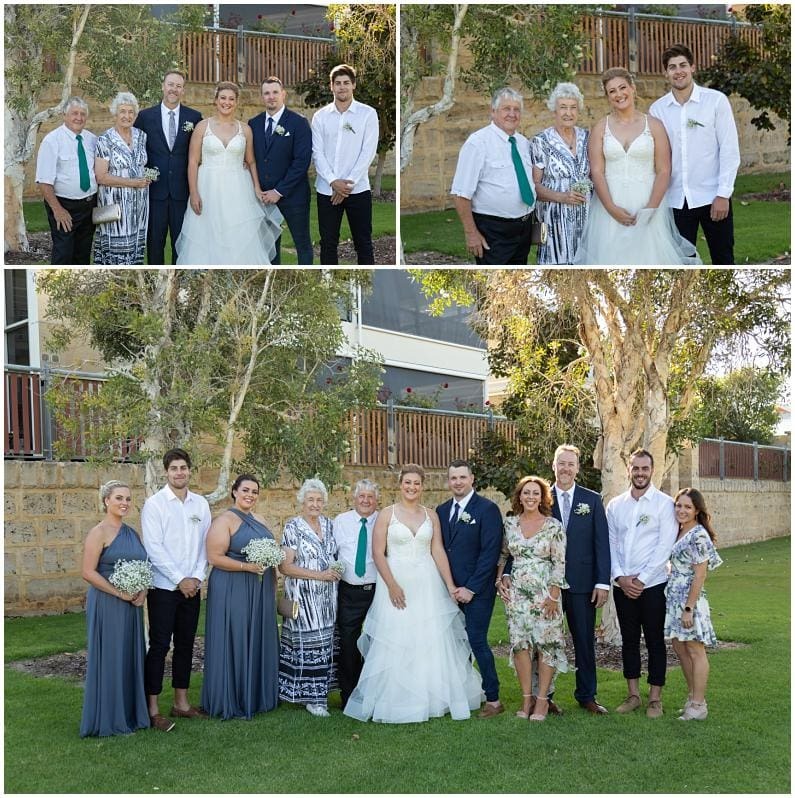 With our groom dressed, beer spilled, father of the bride in his new shoes ready for his special walk we headed to find Ashlee again. 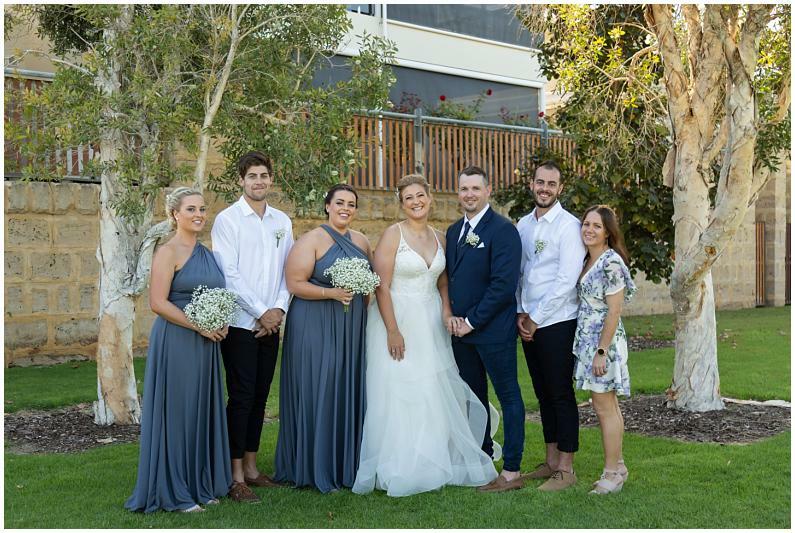 The bride and her tribe looked amazing! I love working with Samantha from So Makeup Artistry. Samantha has her ladies ready on time and her makeup is incredible. 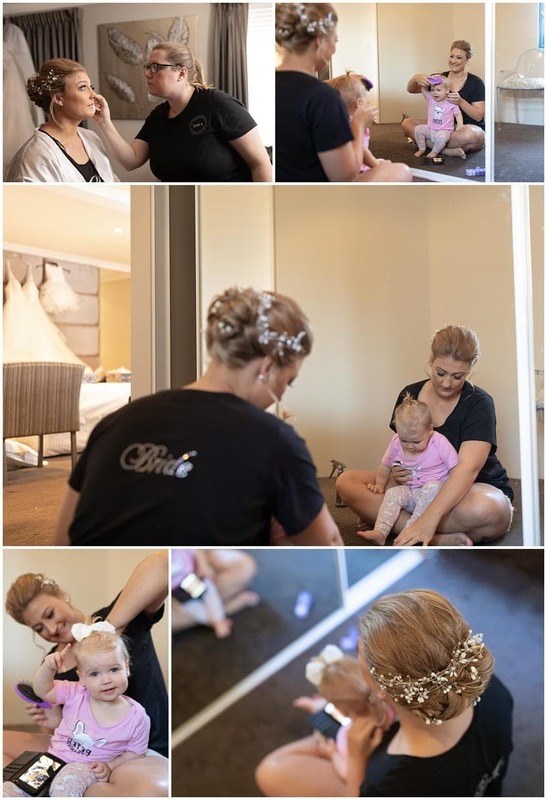 Special mention to Julia, Ashlee’s second mum, who has amazing hair skills and was the creative behind the bride and her tribes hair masterpieces for the day. Its a rare thing that brides and tribes aren’t trying to repin hair throughout the day and here I am shouting from the roof tops that Ashlee and her tribe had amazing hair from the time I was with them until the time I left them partying at the reception. There was a special little someone at these preparations too. Miss Lilly. Ashlee and Ross’s daughter. We loved the moment where Ashlee has sat herself on the floor in front of the mirror doing Lilly’s hair. Memories for a lifetime captured. 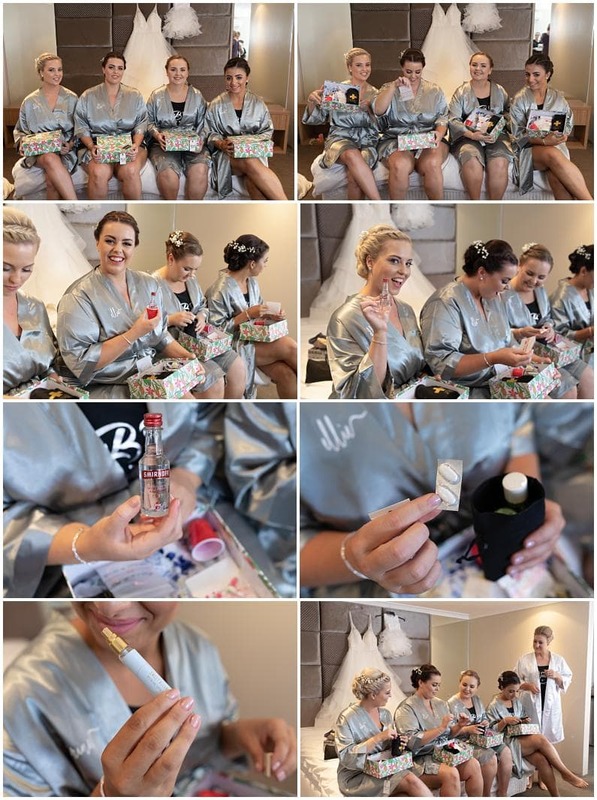 With hair and makeup complete it was time for the bride to give a gift to her tribe. Hangover packs! The smiles from the ladies as they looked through the boxes was a beautiful thoughtful and fun moment. 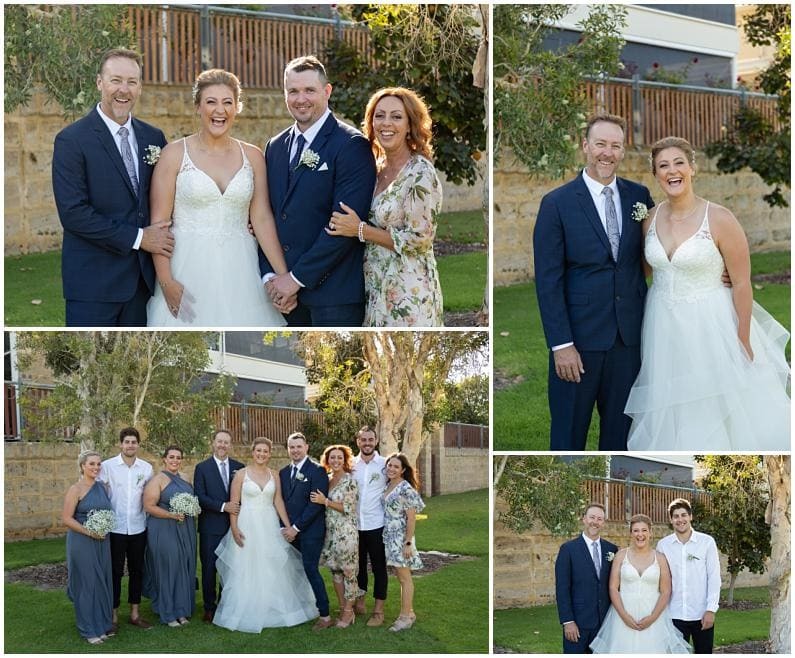 This wedding was all about creating moments and memories. 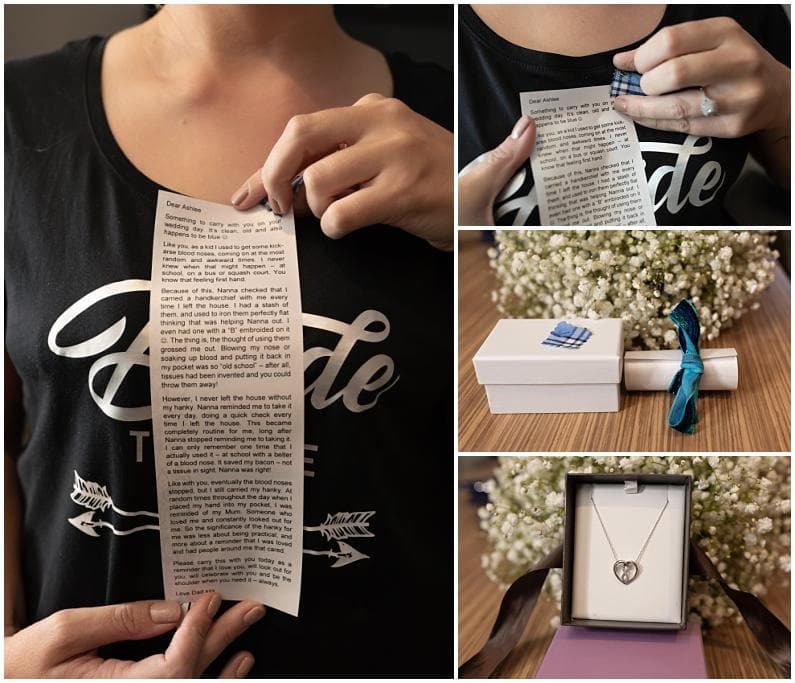 Father of the bride, Brad, gave Ashlee her something blue and a beautiful note. 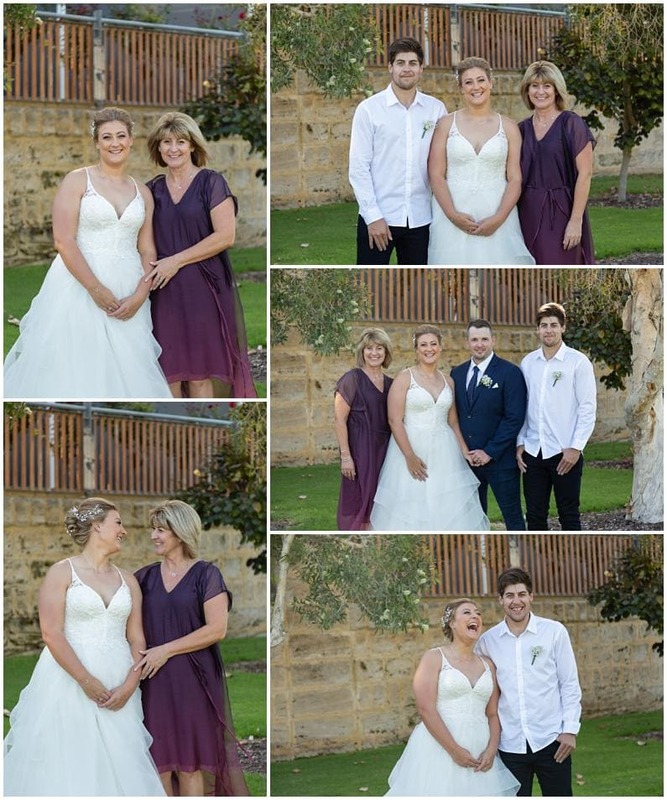 Mother of the bride, Fern gifted her Daughter a beautiful heart pendant. 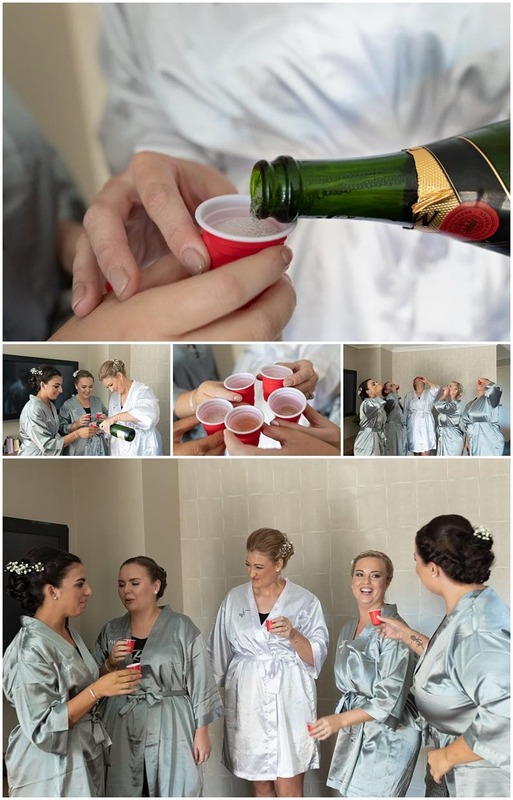 Now brides are typically seeing pictures of other brides popping champagne and sipping it with their bride tribes. I tend to ask if this is a moment brides would like photographed. It turns out, in Ashlee’s case it was, but it wasn’t. This tribe weren’t big fans of the ole bubbles. So we literally did a champagne shot. Yes a champagne shot! I loved their screwed up faces, laughter and energy! 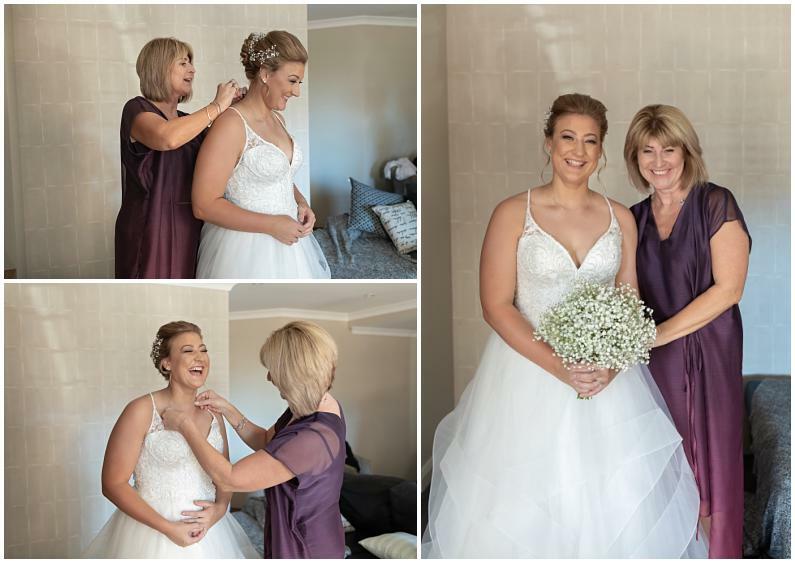 With our bride dressed, moments captured the wedding day preparations part to Ashlee and Ross’s day was coming to an end. It was now time to head to the ceremony. 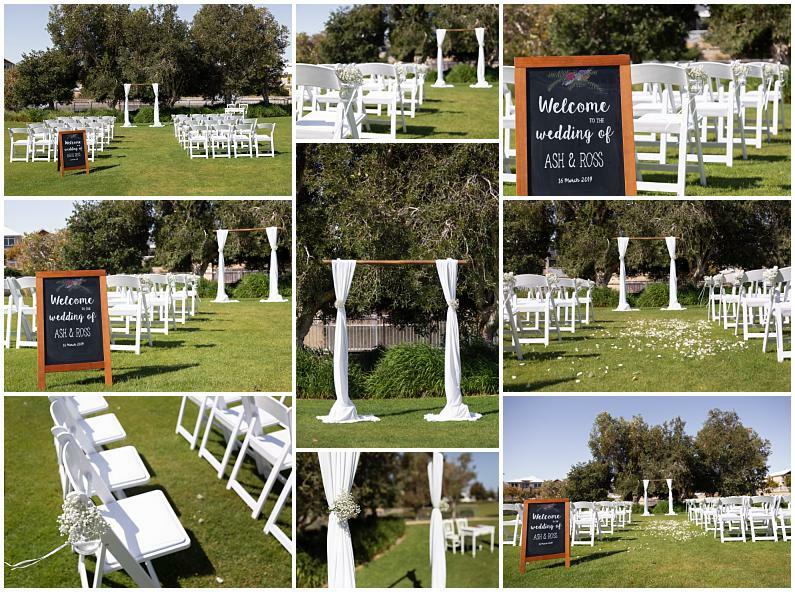 Ashlee and Ross chose Oahu Gardens for their ceremony. 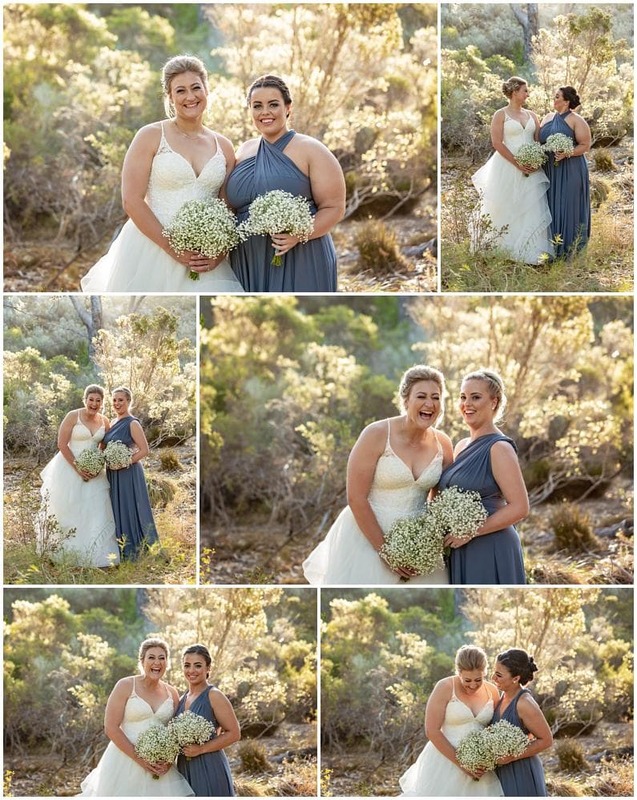 On arrival, I found the beautiful ladies from Little Olive Tree working their magic on the final styling touches of the ceremony area. 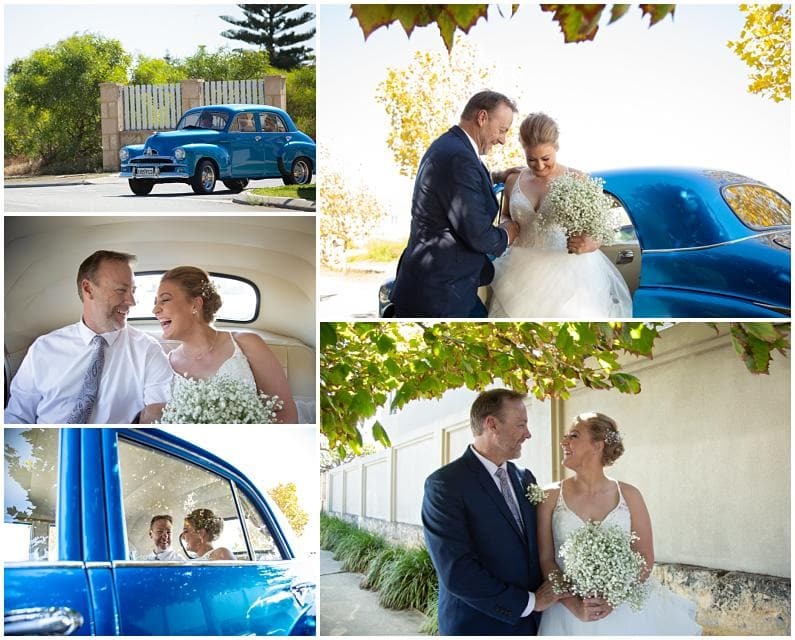 Gorgeous Connie, from With Love As Always, was ready to marry these young lovers with a perfect ceremony. 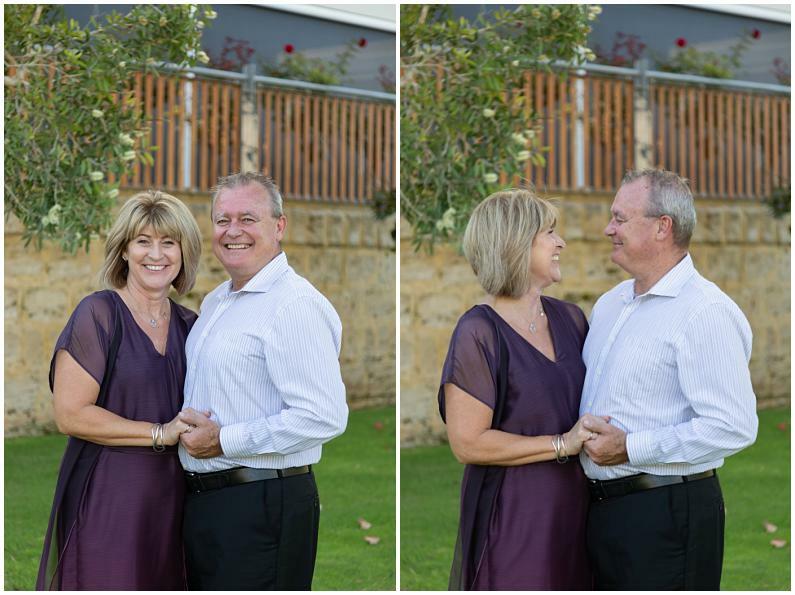 We love Connie’s energy, happiness and ceremonies, our couples love her as much as we do. Groom Ross was mingling with the guests. 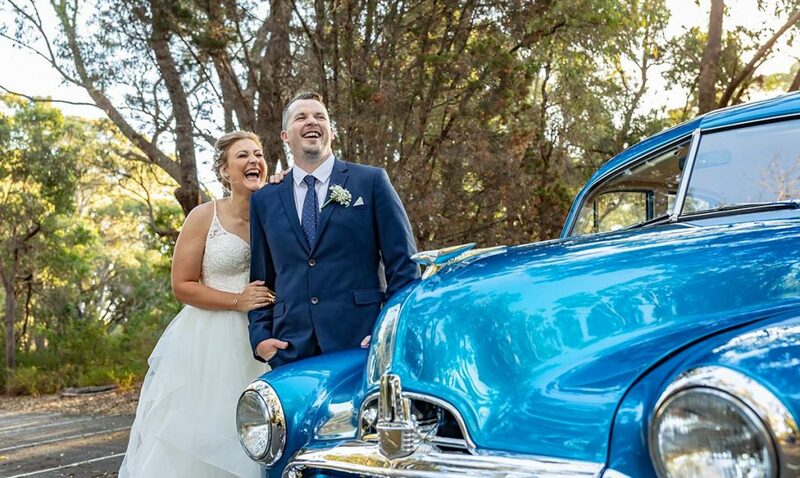 It wasn’t long before Bride, Ashlee, and dad, Brad, arrived in style. Check out the blue wheels. 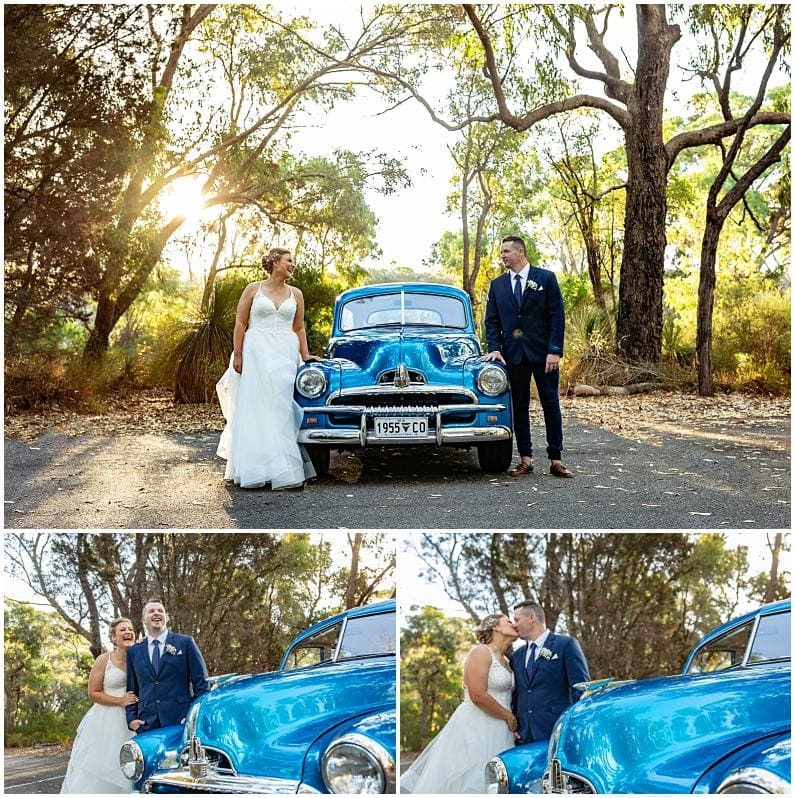 This little car belonging to a long time family friend and travelled all the way from Collie to drive Ashlee to her ceremony. 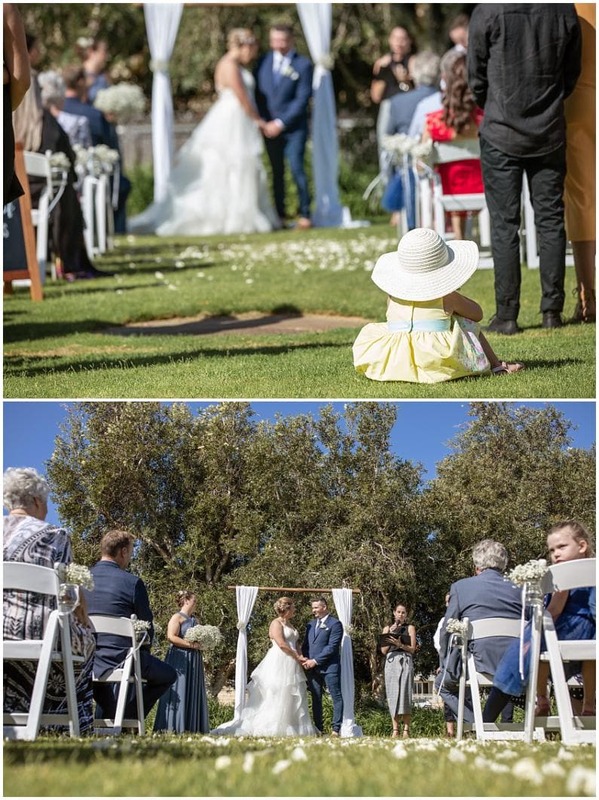 A little flower girl stole the show for a few moments and then a proud father made the walk down the aisle with his daughter on his arm. 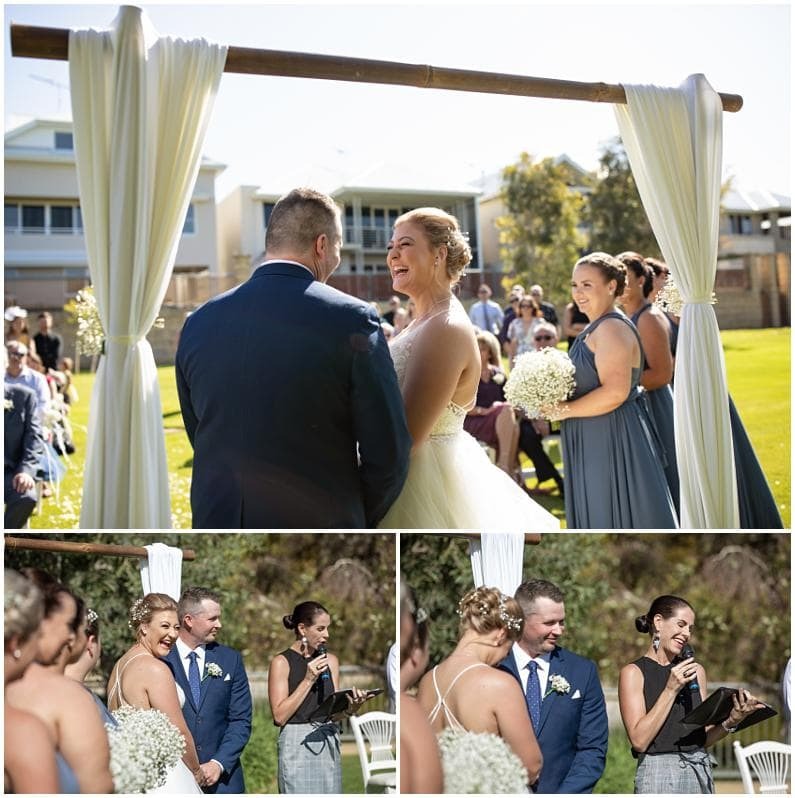 We captured happy tears and laughter, a groom who wasn’t quite sure which part to read, more laughter, vows, rings, the official kiss and the paperwork signed, Ashlee and Ross walked back up the aisle arm in arm, beaming with happiness as husband and wife. 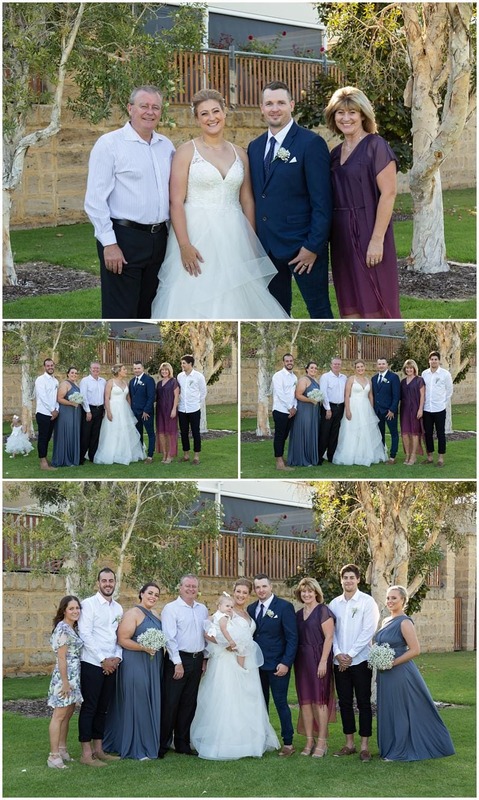 Pinnaroo Memorial Park was the location chosen by Ashlee and Ross for bridal party photos. 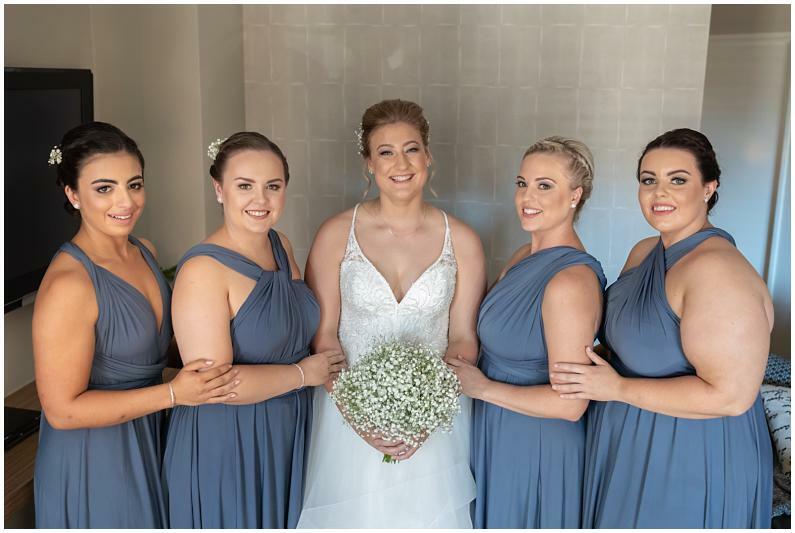 The Bridal party was amazing to work with. We captured the boy band cover and then I tried to get the lads to give me some kind of attitude and “strut” in an image. I quickly learned who the life of the party was and maybe who likes to undress?, at the party. Look out for that image in the blog. It’s one I will laugh at for a long time. 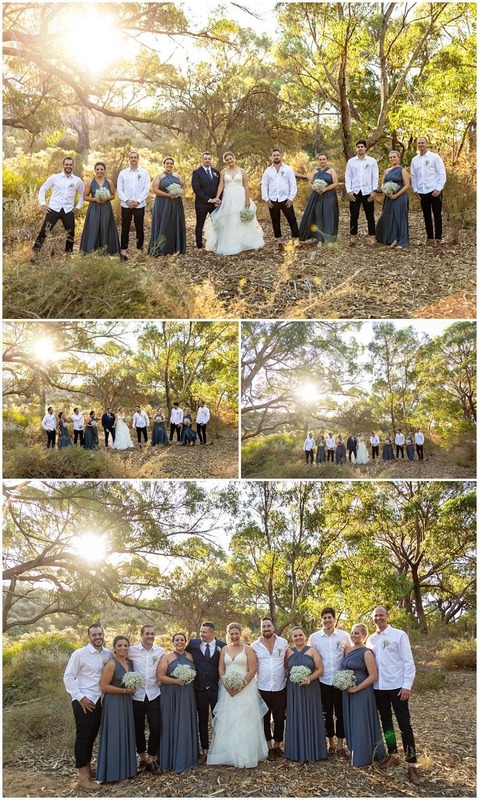 The late afternoon light was amazing for our beautiful bride and her tribe and we laughed so much. The happiness and fun is captured in all of the photographs. The most common words in this blog is laughter and happiness. It really is the only way to describe the day – and I’m a photographer not an English major. Stunning AQWA over looking the ocean was the location for the wedding reception. 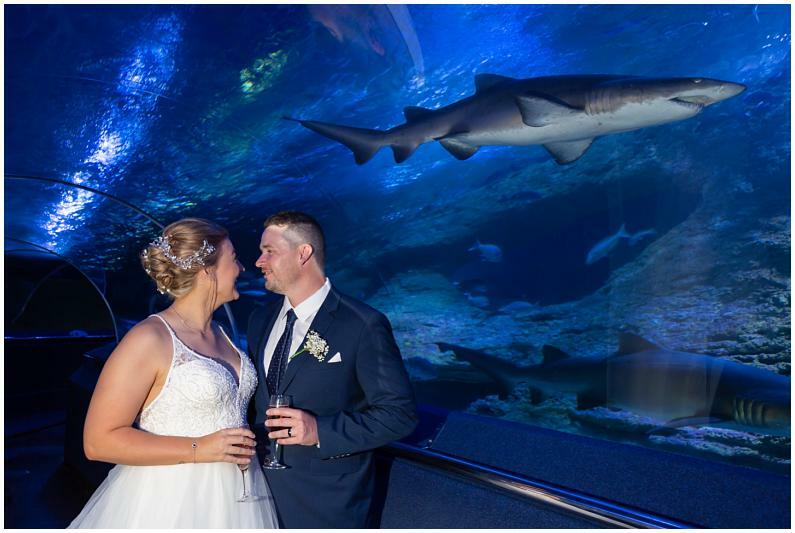 For couples choosing AQWA, the Aquarium is a must for a visit and a photo. We timed the shark swimming by perfectly for Ashlee and Ross. 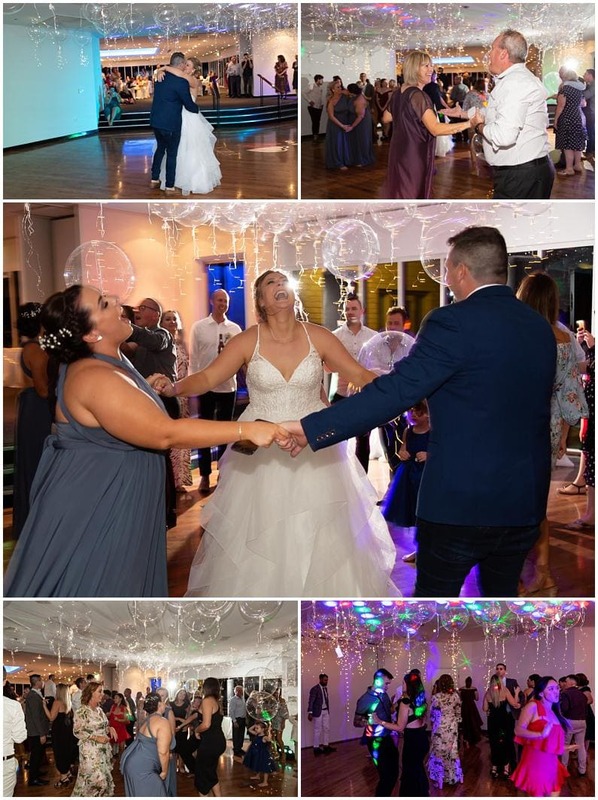 We headed into the reception ahead of the guests arrival to capture the setup and those amazing clear light up balloons Ashlee had spent months researching. 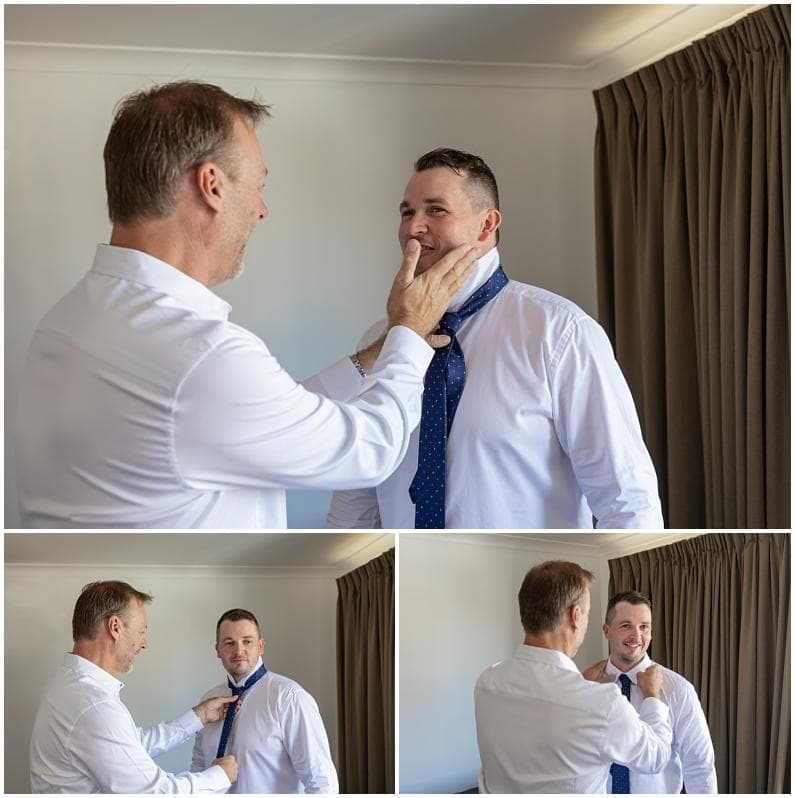 The groom, his groomsmen and father of the bride had been busy in the morning ensuring Ashlee’s vision came to life. 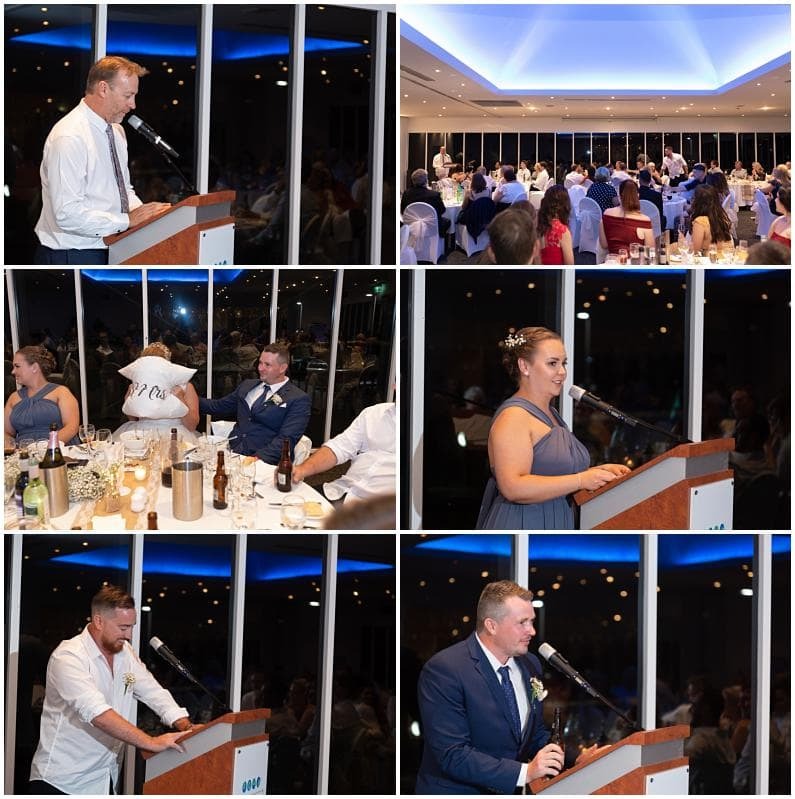 It was great to see and work with Gavin from Groovy Entertainment who provided the music and MC needs for the night. 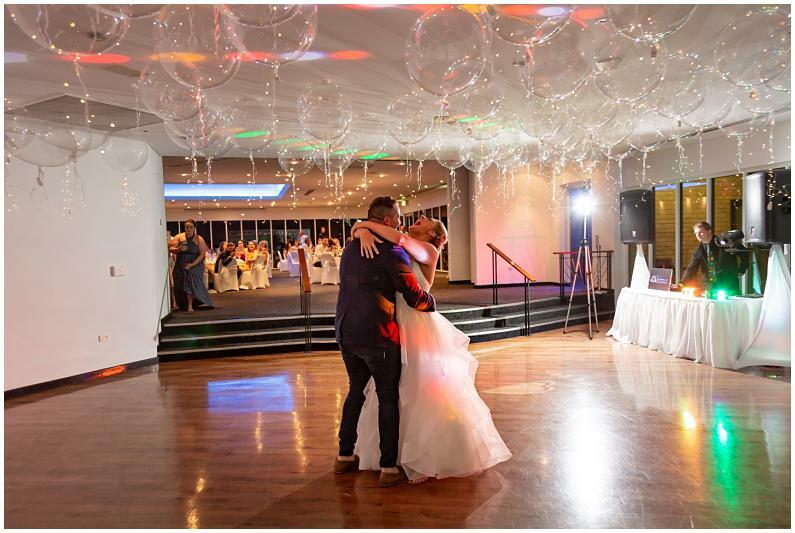 His lights bouncing off the balloons looked amazing! I have to mention Ashlee and Ross’s table names! They chose not to number tables rather than to name them – after lollies! 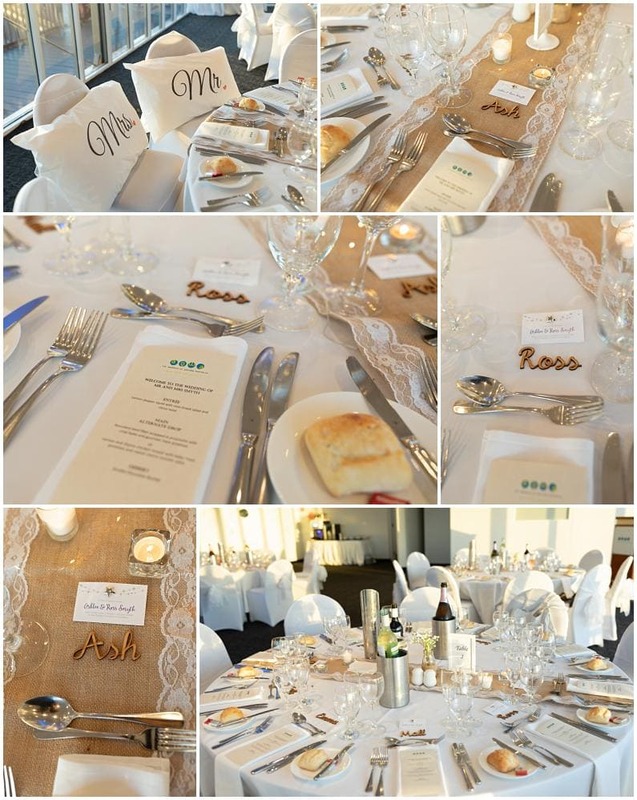 They placed lollies on tables and encouraged guests to mingle by swapping lollies. We loved this idea. 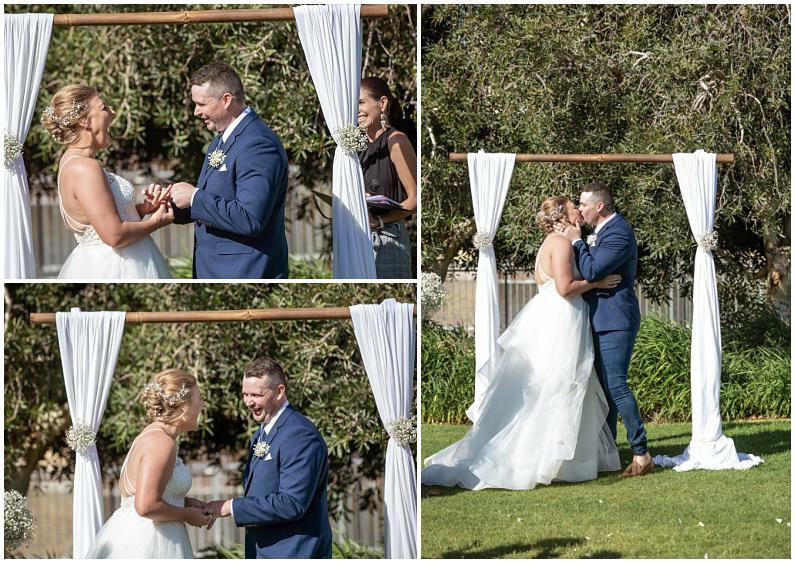 With Speeches said, lollies swapped and the first dance had I really didn’t want to leave. Once in a while people pass you like ships in the night that leave you shining a little brighter for having known them. Ashlee, Ross and all your crew this is you! Keep Smiling lovers, you warm all the hearts you touch!